ARCHIE & THE BUNKERS REVEAL NEW VIDEO! 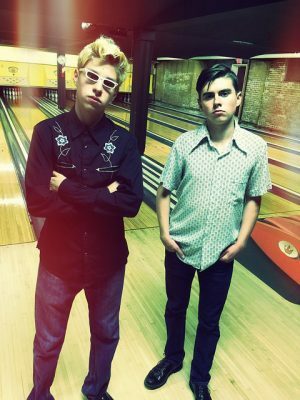 Cleveland, Ohio duo ARCHIE & THE BUNKERS have unveiled a video for their new single ‘Sally Lou’. True to form, the teenage bothers Emmett and Cullen O’Connor deliver a minimalist slab of grinding, lo-fi organ punk. ‘Sally Lou’ is taken from their self-titled debut album which is out now through Dirty Water Records. You can order it here. The brothers are currently finalising dates for their debut European tour later this year.